Meet With Us At One of our Events! Come have a coffee with us and let's talk about your unique company and products. Think of us as a resource that helps you improve your packaging strategy and stand out at future events — and on retail shelves.  We understand the frustrations that can come along with getting your packaging just how you want with a supplier who gets it. Sometimes, it can be one of those 'necessary evil' items that you must spend time on to make your brand successful. Are you completely happy with your supplier? Do you feel there are things they could be doing better? Faster shipping times, a better price, or higher quality? Are they simply your supplier or are they willing to be your partner? Don't settle for anything less than your brand deserves. Don't see your show but still want to talk with us? Select 'other' on the form and we will arrange something!